Woody Guthrie was the most important American folk music artist of the first half of the 20th century, in part because he turned out to be such a major influence on the popular music of the second half of the 20th century, a period when he himself was largely inactive. His greatest significance lies in his songwriting, beginning with the standard "This Land Is Your Land" and including such much-covered works as "Deportee," "Do Re Mi," "Grand Coulee Dam," "Hard, Ain't It Hard," "Hard Travelin'," "I Ain't Got No Home," "1913 Massacre," "Oklahoma Hills," "Pastures of Plenty," "Philadelphia Lawyer," "Pretty Boy Floyd," "Ramblin' Round," "So Long It's Been Good to Know Yuh," "Talking Dust Bowl," and "Vigilante Man." These and other songs have been performed and recorded by a wide range of artists, including a who's who of folksingers, among them Joan Baez, Harry Belafonte, the Brothers Four, Judy Collins, Ramblin' Jack Elliott, Richie Havens, Cisco Houston, the Kingston Trio, the Limeliters, Lindisfarne, Don McLean, the Chad Mitchell Trio, Holly Near, the New Christy Minstrels, Odetta, Tom Paxton, Peter, Paul & Mary, Utah Phillips, Tom Rush, Tom Russell, Pete Seeger, Sweet Honey in the Rock, Dave van Ronk, the Weavers, and Kate Wolf; country performers such as Eddy Arnold, Chet Atkins, Gene Autry, Glen Campbell, Johnny Cash, Flatt & Scruggs, Tennessee Ernie Ford, Lee Greenwood, Merle Haggard, Waylon Jennings, Alison Krauss, the Maddox Brothers & Rose, Anne Murray, Dolly Parton, Johnny Paycheck, Jim Reeves, Tex Ritter, Red Smiley, Ernest Tubb, and Bob Wills; and rock and pop musicians like the Alarm, Paul Anka, the Band, Billy Bragg, the Byrds, Concrete Blonde, Ry Cooder, Ani DiFranco, Dion, Lonnie Donegan, Donovan, Bob Dylan, Nanci Griffith, Arlo Guthrie, Hot Tuna, Indigo Girls, Little Feat, Lone Justice, Trini Lopez, Country Joe McDonald, John Mellencamp, Natalie Merchant, Van Morrison, the New Riders of the Purple Sage, Linda Ronstadt, Doug Sahm, the Seekers, Michelle Shocked, Bruce Springsteen, the Waterboys, Wilco, and Jesse Colin Young. (For the most part, Guthrie created his songs by writing new lyrics to existing folk melodies.) Most of those performances and recordings came after Guthrie's enforced retirement due to illness in the early '50s. During his heyday, in the 1940s, he was a major-label recording artist, a published author, and a nationally broadcast radio personality. But the impression this creates, that he was a multi-media star, is belied by his personality and his politics. Restlessly creative and prolific, he wrote, drew, sang, and played constantly, but his restlessness also expressed itself in a disinclination to stick consistently to any one endeavor, particularly if it involved a conventional, cooperative approach. Nor did he care to stay in any one place for long. This idiosyncratic individualism was complemented by his rigorously left-wing political views. During his life, much attention was given in the U.S. to whether people of a liberal bent were or had ever been members of the Communist party. No reliable evidence has emerged that Guthrie was, but there is little doubt where his sympathies lay; for many years, he wrote a column published in Communist newspapers. Such views also help explain his uncomfortable relationship with the trappings of media and financial success that he encountered fleetingly in the '40s. Ironically, as Guthrie's health declined to the point of permanent hospitalization in the '50s, his career took off through his songs and his example, which served as inspiration for the folk revival in general and, in the early '60s, Bob Dylan in particular. By the mid-'60s, Guthrie's songs were appearing on dozens of records, his own recordings were being reissued and, in some cases, released for the first time, and his prolific writings were being edited into books. This career resurgence was in no way slowed by his death in 1967; on the contrary, it continued for decades afterward, as new books were published and the Guthrie estate invited such artists as Billy Bragg and Wilco in to write music for Guthrie's large collection of unpublished lyrics, creating new songs to record. Woodrow Wilson Guthrie was born in Okemah, OK, on July 14, 1912, 12 days after his namesake, Governor Woodrow Wilson of New Jersey, was nominated for president at the Democratic National Convention. As this early political connection suggests, Guthrie's father, Charley Edward Guthrie, was himself a politician who, at the time, held the elective post of District Court Clerk as well as being a real estate agent. Guthrie's mother, Nora Belle (Tanner) Guthrie, had earlier given birth to his sister Clara and brother Lee Roy; another brother, George, would follow in 1918, and finally another sister, Mary Josephine Guthrie, in 1922. Guthrie's mother taught him folk songs as a child. In May 1919, when Guthrie was six years old, his sister Clara accidentally burned to death. It was the first of a remarkable number of fire-related injuries suffered by Guthrie and those around him during his life. It marked a decline in fortunes for the family, and it may have been related to the undiagnosed but increasingly apparent illness of his mother. Unbeknown to her, Nora Guthrie was beginning to suffer from the mental and physical effects of the rare, hereditary, and incurable condition known as Huntington's disease, the onset of which tends to come in middle age, with a steady decline thereafter, resulting in a loss of mental control and muscle control, eventually leading to death. By the mid-'20s, Guthrie had begun to display an interest in music, learning to play the harmonica. On June 25, 1927, another fire incident occurred in which Guthrie's father was severely burned by a kerosene lamp. Two days later, Guthrie's mother was committed to the Central State Hospital for the Insane in Norman, OK. (She died there in 1930.) His father was taken to Pampa, TX, to stay with his aunt and recover. Guthrie, not yet 15 years old, stayed with his older brother or family friends, but went largely unsupervised. Before his 16th birthday, in June 1928, he took his first extended trip, hitchhiking around the Gulf Coast states and working at odd jobs before returning to Okemah. Although he attended high school during this period, he never got beyond the tenth grade. In the spring of 1929, he moved to Pampa at his father's invitation. There he worked in a drugstore and then became a sign painter. He also took guitar lessons from his uncle Jeff Guthrie and soon began playing professionally, teaming with Matt Jennings, who played harmonica and fiddle, and guitarist Cluster Baker in a group they called the Corncob Trio. On October 28, 1933, Guthrie married Jennings' sister, Mary Esta Jennings. Guthrie had begun to write his own songs as early as 1932. On April 14, 1935, he found inspiration in a natural disaster, when a major dust storm hit Pampa, as drought conditions and subsistence farming across the Great Plains combined to strip off tons of topsoil and send it flying into the wind, contributing to the financial catastrophe suffered by farmers during the Great Depression. Guthrie wrote "So Long It's Been Good to Know Yuh" (aka "Dusty Old Dust"), which was full of bitingly comic observations about the troubles suffered by people in the storm. The same month, he self-published the first of a series of songbooks he would turn out during his career, Alonzo M. Zilch's Own Collection of Original Songs and Ballads. The Guthries' first child, Gwendolyn Gail Guthrie, was born in November 1935, but that did not signal that Guthrie was settling down with his family. On the contrary, in 1936, he returned to hitchhiking or jumping freight trains to travel around the country as a hobo. In the late winter or early spring of 1937, he finally took off for good, moving to California. His wife, meanwhile, was pregnant again, and she gave birth to a second daughter, Sue Guthrie, in July. Meeting his cousin Leon Jerry "Oklahoma Jack" Guthrie in Los Angeles, Guthrie began performing with him, and the two were hired to do a radio program on the local station KFVD, launching the daily 15-minute program The Oklahoma and Woody Show on July 19, 1937. In September, Jack Guthrie dropped out, and Guthrie replaced him with singer Maxine Crissman, whom he dubbed "Lefty Lou," with the program rechristened The Woody and Lefty Lou Show. The two were popular with other expatriates from what had become known as the Dust Bowl, and Guthrie began to write more songs directed at them, such as "Do Re Mi," in which he warned potential migrants that California might not be welcoming to them if they didn't arrive with money; the nostalgic "Oklahoma Hills"; and "Philadelphia Lawyer." He also made enough money from the radio show and the sale of songbooks to send for his wife and children, who joined him in Los Angeles in November 1937. The Woody and Lefty Lou Show continued until June 18, 1938, when Guthrie went back to traveling around the country. He returned to KFVD by himself in November. Perhaps influenced by his observations of struggling migrant workers, he began to express himself in more overtly political terms, writing songs like "Pretty Boy Floyd" (which treated the famed bank robber born Charles Arthur Floyd as if he were a modern version of Robin Hood) and "Vigilante Man," a condemnation of the police and private security forces that harried homeless workers. He also began writing a column, "Woody Sez," for the Communist newspaper People's World in May 1939. His third child, a son named Will Guthrie, was born in October. In November, he left his radio show and moved back to Texas, but he did not stay there long. In the early months of 1940, he took off again, this time to New York City to visit his friend, the actor Will Geer, who was appearing on Broadway in the play Tobacco Road. On his way across the country, Guthrie frequently heard on the radio Kate Smith's rendition of Irving Berlin's patriotic song "God Bless America," which Berlin had written during World War I, but first published in 1939, as World War II loomed. Guthrie found the song jingoistic, and when he arrived in New York he was inspired to write his own answer song, which he initially called "God Blessed America for Me." Although the song, later revised as "This Land Is Your Land," itself came to be regarded as a patriotic anthem, Guthrie's actual intended message was an attack on private property, a cornerstone of the capitalist system. His initial draft of the song is dated February 23, 1940, but he did not perform it until much later. By the time Guthrie arrived in New York, the plight of the Okies, as the Midwestern farmers who had lost their farms and headed west to become migrant workers were known by now, had become a national cause, in part because of the success of John Steinbeck's best-selling novel The Grapes of Wrath, which had been published in April 1939 and quickly adapted into a motion picture that opened in New York on January 24, 1940. Guthrie had met Steinbeck in California, and in March 1940 he was invited to perform at a benefit for migrant workers sponsored by Steinbeck and emceed by Geer at the Forrest Theater, where Tobacco Road was running. His appearance was a sensation; with his demeanor and accent, he seemed the living embodiment of the Okies, and his songs and wry humor called to mind a combination of the country singer Jimmie Rodgers and the homespun monologuist Will Rogers. At the event, Guthrie met a number of prominent folksingers, among them Leadbelly and Aunt Molly Jackson, as well as the 20-year-old aspiring folksinger Pete Seeger and Alan Lomax, the assistant in charge of the Archive of Folk-Song at the Library of Congress. Lomax in particular proved beneficial to Guthrie's career. He quickly invited Guthrie to Washington, D.C., to interview him for the archive. The interviews took place on March 21, 22, and 27, 1940, at a studio at the Department of the Interior, where they were recorded. At this, his first-ever recording session, Guthrie discussed his life and performed many songs, including "So Long It's Been Good to Know Yuh," "Do Re Mi," "Pretty Boy Floyd," "I Ain't Got No Home," "Worried Man Blues," "Goin' Down That Road Feeling Bad," and a number of others explicitly about the conditions in the Dust Bowl. The recordings stayed in the archives for nearly a quarter of a century, until they were released commercially as a three-LP box set, Library of Congress Recordings, by Elektra Records in 1964. Lomax had other media connections that gave Guthrie greater exposure. On April 2, 1940, he presented Guthrie on his nationally broadcast CBS radio program, Columbia School of the Air, and later in the month Guthrie made the first of several appearances on another CBS show, The Pursuit of Happiness. Lomax also talked Guthrie up to RCA Victor Records, which signed him to a contract that resulted in the release of two albums, each consisting of three 78 RPM discs, in July 1940, Dust Bowl Ballads, Vol. 1 and Dust Bowl Ballads, Vol. 2. The selections included many of the same songs Guthrie had just performed for the Library of Congress, plus the newly written "Tom Joad," a musical adaptation of The Grapes of Wrath, which had to be broken into two parts due to its length. After completing the recordings in early May, Guthrie took a trip back to the Southwest with Seeger tagging along, but he had returned to New York by August, when he began to appear on another Lomax radio show on CBS, Back Where I Come From, signing to become a regular. He also began performing in nightclubs, often in the company of his friend Cisco Houston. But he discontinued his newspaper column, which had been appearing in another Communist paper, the Daily Worker, apparently because his views were not sufficiently orthodox to suit the party. After signing to appear on another radio show, Pipe Smoking Time, he sent for his family, which moved to New York in late 1940. This level of success and, more important, conformity, did not suit him for long, however, and in early January 1941 he abruptly walked out on his radio commitments and left New York, moving back to Los Angeles with his family. Guthrie briefly returned to his show on KFVD, but his next important activity began with a letter from the Bonneville Power Administration, part of the Department of the Interior, in Portland, OR, which requested his services to narrate and sing songs for a documentary film to be made about the building of the Grand Coulee Dam on the Columbia River running along the border of Oregon and Washington state. He drove to Portland with his family and was hired for one month as an "information consultant" to write songs. He wrote or adapted 26 of them over the next several weeks, including "Roll on Columbia" (later declared the official folk song of the state of Washington), "Grand Coulee Dam," and "Pastures of Plenty." Many of the songs were recorded, but the film project was shelved temporarily (it eventually appeared in 1949), and when the month was up on June 11, 1941, Guthrie returned to New York, leaving his family in Portland. Seeger had formed a politically oriented folk group, the Almanac Singers, with Lee Hays and Millard Lampell, and Guthrie joined them. In early July, they recorded two albums, Deep Sea Chanteys and Sodbuster Ballads, for General Records, before embarking on a national tour of union gatherings. The tour went across the country, concluding in August in Los Angeles. There, Guthrie was reunited briefly with his family, which had returned from Portland, but Mary Guthrie soon moved with the children to El Paso, TX, effectively separating from her husband, who returned to New York after performing in the Northwest with Seeger. In New York, Guthrie lived at the communal Almanac House, where the expanding lineup of the Almanac Singers maintained its headquarters. As usual, he wrote prolifically, his compositions including "Sinking of the Reuben James," about a U.S. destroyer torpedoed by a German U-boat, and he began to get assignments for articles in magazines, starting with "Ear Players," published in Common Ground in the spring of 1942. During this period, the Almanac Singers, who had been rabidly anti-war until Germany invaded the Soviet Union in June 1941, became rabidly pro-war, a stance that coincided perfectly with the mood of the U.S. in the wake of the Japanese attack on Pearl Harbor on December 7. As a result, they began to get offers from network radio shows, reaching their commercial peak on February 14, 1942, when they appeared on a program called This Is War broadcast on all four national radio networks. Their political affiliations, however, made them unsuitable to the conventional entertainment business, just as Guthrie was individually. They turned down an offer to appear at the prestigious Rainbow Room, and their increasing recognition led to newspaper accounts of their ties to left-wing organizations including the Communist Party, which in turn led to the cancellations of other nightclub bookings and a proposed contract with Decca Records. Guthrie, meanwhile, met Marjorie Greenblatt Mazia, a dancer with the Martha Graham dance troupe, with whom he began a romantic relationship, even though both of them were married to other people. Around the same time, he was signed by publishers E.P. Dutton to write his autobiography. While working on this book, he gradually lessened his involvement with the Almanac Singers. 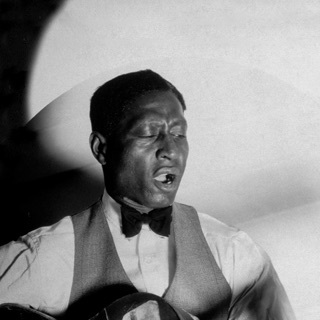 By the fall, he was appearing in a short-lived group he called the Headline Singers along with Leadbelly, Sonny Terry, and Brownie McGhee. Guthrie's fourth child, Cathy Ann Guthrie, was born to Marjorie Mazia on February 6, 1943. In March, Guthrie's book Bound for Glory was published to favorable reviews. The same month, Mary Guthrie signed her divorce papers, which had the effect of making Guthrie eligible for the draft. When he received his draft notice, he joined the merchant marine as an alternative to going into the army, signing on with Cisco Houston to a ship that was part of a convoy taking supplies for an invasion of Italy. The four-month trip began in June 1943; on September 13, the ship was torpedoed but managed to make it into port in Tunisia. Guthrie returned to New York in October, but could stay only 30 days before going on another merchant marine journey if he wanted to continue to avoid army service. So, there was a trip along the Eastern seaboard a month later, and then in January 1944 a second journey across the Atlantic that lasted until March. When he returned, Guthrie showed up at the offices of the small Asch Record Company and introduced himself to its owner, Moses Asch, who agreed to record him on an informal basis. Starting on April 16, 1944, Guthrie, sometimes accompanied by one or more musical associates including Houston, Sonny Terry, Leadbelly, and former Almanac Singers member Bess Hawes, began making what eventually added up to hundreds of recordings for Asch including, for the first time, "This Land Is Your Land." The initial Asch sessions lasted at least into late April, totaling upward of 150 songs, both Guthrie originals and traditional compositions. Asch had no means of releasing such a torrent of material at the time. In May 1944, Guthrie shipped out again on a merchant marine ship taking troops for the D-Day invasion of Europe. After the soldiers were put ashore on Omaha Beach in early July, the ship hit a mine, but made it back to England, where Guthrie appeared on the BBC before heading back to the U.S. in August. In September, Asch released the first of his Guthrie recordings on the various-artists album Folksay: American Ballads and Dances, followed by another various-artists album called Blues, and then, at the turn of the year, the solo album Woody Guthrie, consisting of three 78 rpm discs and including such songs as "Grand Coulee Dam" and "Jesus Christ." Guthrie also went back on the radio during this period, hosting a show on the local New York station WNEW called Ballad Gazette that used "This Land Is Your Land" as its theme song and working on the NBC program America for Christmas, broadcast December 25, 1944. Guthrie continued to record extensively for Asch in the early months of 1945. In March, he was again called to the draft and found that the merchant marine's union had tightened its requirements with regard to the political affiliations of its volunteers, such that he was no longer eligible. Thus, he was inducted into the army on May 7, 1945. That was also the day that Germany surrendered, but the war against Japan was still going on. After undergoing basic training, Guthrie was posted to a series of army bases around the country. At one of them, he happened to hear on a jukebox Jack Guthrie's Capitol Records recording of "Oklahoma Hills," which peaked at number one on Billboard magazine's "Most Played Juke Box Folk Records" chart (the precursor to the country singles chart) for the first of six weeks on July 28, 1945. He discovered that Jack Guthrie had credited himself as songwriter. Legal discussions ensued, and eventually "Oklahoma Hills" was co-credited to the two Guthrie cousins, who shared the songwriting royalties. On November 13, 1945, Guthrie married Marjorie Mazie, who had obtained a divorce from her first husband. He was discharged from the army the following month. In 1946, Guthrie played concerts under the auspices of People's Songs, an organization founded by Seeger and other folksingers as a clearinghouse to promote political folk songs. He also continued to record for Asch, who released a new album, Struggle: Documentary #1, and commissioned him to write a series of songs about Sacco and Vanzetti, the immigrant anarchists who had been convicted of a robbery in which two guards were killed and had been executed in 1927, their case long a cause célèbre of the American left. (The album was not released until 1960.) Inspired by his daughter Cathy, Guthrie also had begun writing children's songs, and he recorded these for Asch as well, starting in February 1946. After being released later in the year on Asch's Disc Records label on the album Songs to Grow On: Nursery Days, these became among Guthrie's most popular recordings, and he made more of them. Work Songs to Grow On followed in 1947. (Tragically, Cathy Ann Guthrie died in another of the bizarre series of accidental fires associated with him on February 10, 1947. He was not present when the incident occurred.) Although Guthrie himself had faded from national attention, his persona as a rambling folksinger was already beginning to become legendary. This was suggested on January 10, 1947, when the musical Finian's Rainbow opened on Broadway for a run of 725 performances. Sonny Terry had a part in the show, which featured a certain character named Woody, a free-spirited, guitar-playing ex-merchant seaman who helped lead a labor revolt. On July 10, 1947, Guthrie's fifth child, Arlo Davy Guthrie, was born. He would go on to become a singer/songwriter like his father and do much to further Guthrie's legacy. His younger brother Joady Ben Guthrie, who also became a performer, was born on December 25, 1948. Nora Lee Guthrie, Guthrie's seventh child, was born in January 1950. Guthrie, meanwhile, had be re-recording much of the material from the Dust Bowl Ballads albums and the Columbia River songs for Asch, resulting in a Disc album called Ballads from the Dust Bowl released on a new Asch label, Folkways Records, in October 1948. He was also at work on a new book about a trip he and his father had taken in search of a goldmine in the early '30s. The book would not be published until 1976, when it appeared under the title Seeds of Man. Moses Asch went bankrupt in 1947, an event that would have major implications for Guthrie's discography, since Asch's ex-partner, record store owner Herbert Harris of Stinson Records, held onto some of Guthrie's master recordings, as did a pressing plant that auctioned them to Pickwick Records. As Guthrie's popularity increased in the 1960s, Stinson and Pickwick's Everest label, as well as Folkways, would issue competing Guthrie titles drawn from the recordings he had made in the '40s for Asch. Since discovering that his mother had suffered from Huntington's disease shortly after her death, Guthrie had feared that he would inherit the illness, as he confided to friends on several occasions in the 1930s and '40s. By the late '40s, he had begun to exhibit symptoms of the disease, although, since his behavior had always been idiosyncratic, they were not recognized as such by him or others, and tended to be ascribed to excessive drinking. His last major composition (for which he wrote only the lyrics with the music later added by Martin Hoffman) came in 1948 with "Deportees" (aka "Plane Wreck at Los Gatos"), an account of an incident in which a plane carrying immigrant workers crashed. Meanwhile, his earlier songs were beginning to become generally popular. The Maddox Brothers & Rose had a successful recording of "Philadelphia Lawyer," and in 1950 the Weavers, a group formed by Pete Seeger and Lee Hays of the Almanac Singers with Fred Hellerman and Ronnie Gilbert, recorded "So Long It's Been Good to Know Yuh," which peaked at number four in the pop charts in early 1951. By late 1951, Guthrie's erratic behavior had led to his separation from his wife. On January 7, 1952, he did a recording session for Decca Records as part of proposed contract with the label, but his performing skills had deteriorated noticeably; the contract was withdrawn, and the recordings have never been released. This was Guthrie's last serious attempt to record, although there was a final session for Asch two years later that also proved fruitless. Guthrie was hospitalized on May 16, 1952, and was in and out of hospitals over the summer until a neurologist finally recognized his symptoms as Huntington's disease in September. Nevertheless, he was released and immediately moved to California, where he took up with a 20-year-old art student, Anneke van Kirk Marshall, who left her new husband for him and traveled with him back to New York and then to Florida. While staying on a friend's property there on June 10, 1953, Guthrie was severely burned in attempting to douse a campfire, crippling his right arm. Nevertheless, the couple took off again, stopping in Mexico in July so that Guthrie could be divorced. They married in December and moved to New York in January 1954. On February 22, 1954, Anneke Guthrie gave birth to Guthrie's eighth and last child, Lorina Lynn Guthrie, who would be put up for adoption after the couple separated and divorced. On September 16, 1954, no longer able to function, Guthrie checked himself into Brooklyn State Hospital, where he had received his diagnosis two years earlier. This was a voluntary commitment that allowed him to leave the hospital on weekends, which he spent with his ex-wife Marjorie Guthrie. 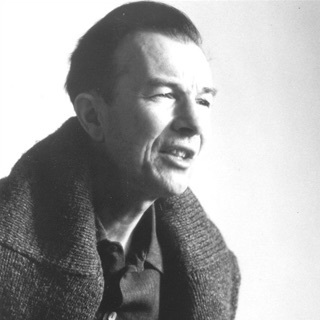 On May 23, 1956, Guthrie checked himself out, intending to hit the road again, but within days he was arrested for vagrancy in New Jersey and involuntarily committed to Greystone Park Hospital, where he remained for five years, until Marjorie Guthrie was able to get him moved back to Brooklyn State, an easier commute from her home in Coney Island. As Guthrie's physical condition deteriorated, however, his career blossomed. The Weavers, who had been forced to disband due to the Communist witch hunts of the early '50s, reunited in 1955 and began performing "This Land Is Your Land," which gained enormously in popularity. On March 17, 1956, a benefit concert for Guthrie's children was held at the Pythian Hall in New York City. Guthrie himself attended, although he was of course unable to perform. The concert was one of the events that marked the start of the folk revival. By the late '50s, with Folkways releasing albums of previously unheard Guthrie recordings, his songs became necessary to the repertoires of all the emerging folk performers. For example, the Kingston Trio, the most popular folk group of the '50s, put "Hard, Ain't It Hard" on their gold-selling number one album The Kingston Trio, released in the fall of 1958, with "Hard Travelin'" appearing on Make Way in early 1961 and "This Land Is Your Land" and "Pastures of Plenty" on Goin' Places that spring; their version of "Deportee" was on their LP Sing a Song with the Kingston Trio in late 1963. The New Christy Minstrels' recording of "This Land Is Your Land" reached the pop singles chart in December 1962. Dust Bowl Ballads was reissued as an LP in 1964 along with the initial release of Library of Congress Recordings, which was nominated for a Grammy Award for Best Folk Recording. Several Guthrie songbooks were published during the early '60s, and in 1965 Born to Win, a collection of his writings edited by Robert Shelton, folk music critic for The New York Times, was published. Guthrie was moved to Creedmore State Hospital in Queens, NY, in July 1966 and put under the care of a doctor specifically studying Huntington's disease. He died there on October 3, 1967, at the age of 55. His death did not impede his career renaissance. New albums continued to be released. On January 20, 1968, the first of two all-star tribute concerts was held in New York, with proceeds going to benefit research into Huntington's disease, its participants including Judy Collins, Bob Dylan, Arlo Guthrie, Richie Havens, Odetta, Pete Seeger, and Tom Paxton. The second concert was held September 12, 1970, at the Hollywood Bowl and featured Collins, Arlo Guthrie, Havens, Odetta, Paxton, Seeger, Joan Baez, Ramblin' Jack Elliott, Country Joe McDonald, and Earl Robinson. Albums chronicling the concerts were released in 1972 and reached the charts. Woody Sez, a book collecting his newspaper columns, was published in 1975, followed in 1976 by Seeds of Man and a film adaptation of Bound for Glory starring David Carradine with an accompanying soundtrack album. Guthrie was admitted to the Nashville Songwriters' Hall of Fame in 1977 and the Rock and Roll Hall of Fame in 1988. He was the subject of an off-Broadway musical bearing his name in 1979. After the death of Moses Asch, the archives of Folkways Records were donated to the Smithsonian Institution, and to help finance the preservation of the material, an all-star album of songs by Guthrie and Leadbelly, Folkways: A Vision Shared, was released, featuring performances of Guthrie's songs by Bob Dylan, John Mellencamp, Willie Nelson, Bruce Springsteen, and U2. It reached number 70 in the charts. "This Land Is Your Land" was inducted into the Grammy Hall of Fame in 1989. In 1990, another book of Guthrie's work, this one edited by rock critic Dave Marsh, was published: Pastures of Plenty: A Self-Portrait -- The Unpublished Writings of an American Folk Hero. Another musical based on Guthrie's life and music, Woody Guthrie's American Song, opened regionally in 1991 and produced a cast album. In 1998, Billy Bragg and Wilco combined to investigate the Guthrie files of unpublished lyrics, resulting in the release of Mermaid Avenue, their recordings of the resulting songs. A second volume followed in 2000. Both albums charted in the Top 100. Meanwhile, Smithsonian Folkways reissued Guthrie's recordings on carefully considered and annotated CDs, and RCA Victor, or its parent company BMG, periodically reissued Dust Bowl Ballads. The Asch recordings that had escaped to Stinson and Pickwick continued to appear, licensed to a variety of labels, a problem that was superseded as of the 1990s by the 50-year copyright limit on recordings in Europe, which eventually put all of Guthrie's recordings into the public domain there, resulting in a flood of unlicensed European reissues. While some of these discs were better than others, the Smithsonian Folkways and RCA Victor releases remained superior renderings of the material. Decades after Guthrie's death, his ragamuffin image, the blue-jean-wearing Everyman with a guitar on his back, had become an American archetype, and his songs, in some cases benignly reinterpreted, had become a permanent part of the American consciousness, whether it was a parent and child singing "Put Your Finger in the Air" without any idea who wrote it, or the Mormon Tabernacle Choir thundering "This Land Is Your Land," ignorant of its original socialist intent. In this sense, he had proved himself a true folk artist, one whose creations had passed into the culture and seemed always to have been there.